Keeping a business place clean is always a challenge. In fact, cleaning and maintaining your facility is just as important as the products and services you provide. A well-maintained facility will be safer and more efficient, especially when floors are kept properly cleaned. Sweepers come in a variety of sizes and price points, so there’s something for every type of facility. You’ll be able to choose from quality walk behind sweepers as well as ride on sweepers that can clean floors at more than 200,000 square feet per hour. Of course, when choosing a ride on sweeper, make sure to determine the specific needs of your business. What is a ride on sweeper? A ride on sweeper is an industrial level sweeper that can handle the toughest and biggest of cleaning jobs. The cleaning width of a typical sweeper varies depending on the model you choose, but a ride on model makes the process of sweeping large areas much easier. Unlike a walk behind sweeper, ride on machines allow the operator to sit on and drive it, rather than having to walk the sweeper across the floor. Why choose a ride on sweeper? While you could certainly hire people to clean your facilities using traditional tools, this is definitely not the most efficient way to keep a building clean. In fact, it’s not only an incredible waste of labor, but hand sweeping will also not be able to give you the highest quality completed job. A ride on sweeper outperforms hand sweeping, and it can significantly reduce the time and labor needed to clean the floor. 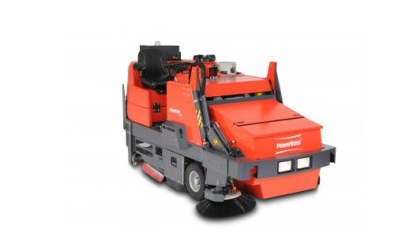 Industrial sweepers and scrubbers are ideal for just about any type of commercial operation. There’s no doubt that a ride on equipment requires an initial investment; however, over time, this investment can pay for itself with lower labor costs. Spend some time evaluating the best sweeper for your business and you’ll be able to get your floors cleaner in a faster and more cost-effective manner.